If you’ve never heard of “XO Sauce”, no it’s not the expensive brand designated to a grade of Cognac. 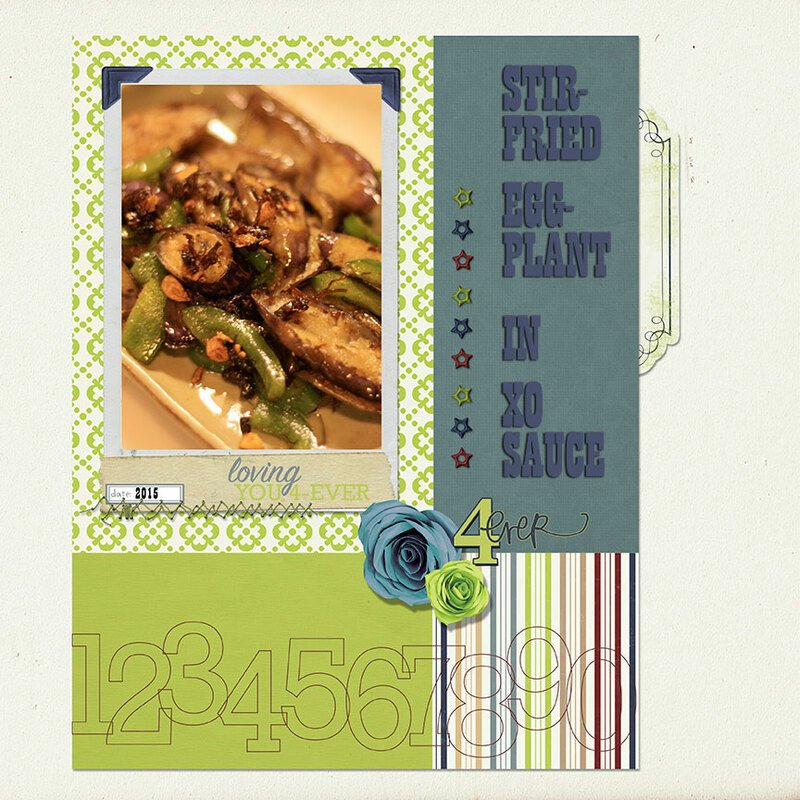 In the culinary and gourmand world, XO Sauce is known as the emperor of all sauces. Vogue China once described it as the “Caviar of the East”, it’s pricey, but a little goes a long way. I’ve written about it a few years back (here) and continue to be awed by it. 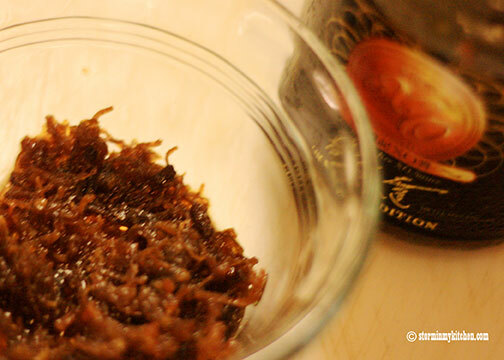 Packed with deep, rich smoky intensity, this gourmet condiment is made from dried scallop, ham, dried shrimp, red chili pepper, onions, and garlic. It gives the added oomph to stir-fried meats, seafood, tofu, and vegetables. Never fails on pasta and noodle dishes too. XO Sauce’s fabled history started in Hong Kong, its exact circumstance surrounding its birth is unknown. It most likely first graced the table of one of Hong Kong’s pricey dining establishments and ever since then, the fascination with this sauce has continued to heighten. One does not need to dine out to satisfy one’s craving anymore. 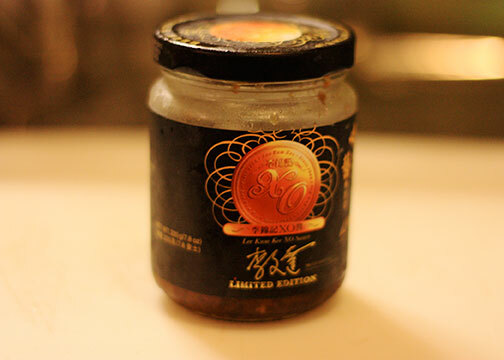 Lee Kum Kee has bottled a very impressive version of the XO Sauce. I add it to my vegetable or seafood dishes. It is perfect to add a different flavor to fried rice too. 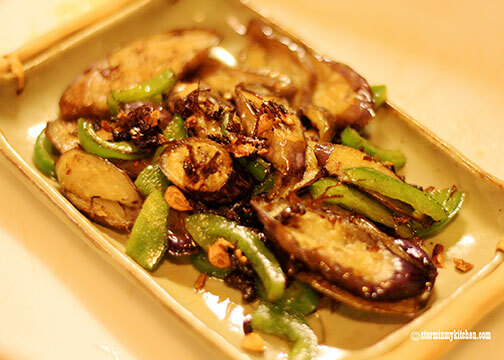 What I have here are simple ingredients that I found on my crisper, a teaspoon of XO Sauce gave this eggplant a great lift. You are currently reading XO Sauce at Storm In My Kitchen.